Little Japanese girls out on Shichi-Go-San, literally 7-5-3, a traditional rite of passage and festival day in Japan for children the age of seven, five or three, held annually on November 15. As Shichi-Go-San is not a national holiday, it is normally observed on the nearest weekend. 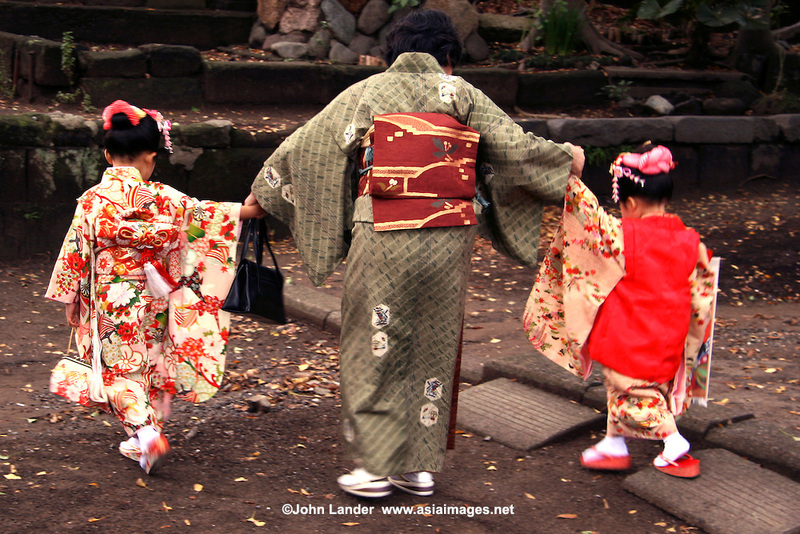 Children are still dressed in kimono, many for the first time, for visits to shrines though western-style formal wear is also worn by some children.